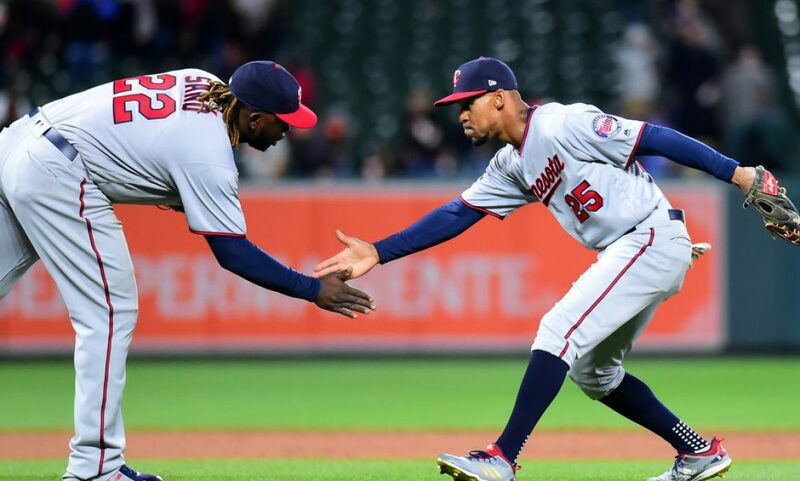 As Spring Training is winding down the Twins appear to have most of their roles set, but there is one decision that many Twins fans are very split on. Should Tyler Austin be on the 25 man roster when the Twins begin the season? After a long period of research I think I’ve decided that I would not begin the season with Tyler Austin on the Twins. My mind has changed countless times but I think I’ve reached my conclusion. And I’ll tell you why right now! Alright, so there are of course a few reasons but the main one is that he just doesn’t really fit on the team. As a right handed hitter who can’t hit right handed pitchers (career .211 AVG and .664 OPS) and he would rarely hit against lefties with Cruz and Cron ahead of him, he isn’t an obvious upgrade over guys like Astudillo. Even if he is brought to the final roster, the second Miguel Sano is ready to go, Tyler Austin is a horrible fit with the team we currently have in Minnesota. With exclusive righty power hitters in Cruz, Cron, Schoop and Sano, I don’t think I want Tyler Austin on the bench. He is 27 years old and his “breakout” came last season, but let’s look a little more at that breakout. In August Tyler Austin hit .263/.328/.649 (.977) while in a platoon role hitting against the majority lefties. In September he hit .212/.264/.348 (.612) when he was put up against righties and lefties. I do get that he wouldn’t be full time on this team, but when the Twins do face a lefty pitcher I’m sure they would rather have Cruz and Cron in the lineup. The Twins currently don’t have a lot of guys with great OBP and I think their bench should have someone who at least is alright at getting on base. Tyler Austin has never finished a season with an OPS above .300 in any of his seasons. Willians Astudillo in the minors and majors has consistent been around the .315-.350 range which certainly isn’t elite but I will take that along with a huge decrease in strikeouts and a lot more position flexibility. While I will admit he definitely has potential, he is 27 and ranks among the worst when it comes to strikeout rate. Looking at the 60 highest players in K% last season, only 5 had an OPS over .800 and Tyler Austin ranked 21st with 35.4% of the time. Now I’m not here just to bash on Tyler Austin. He’s a good player, just now for the team that is set up in Minnesota. He has 30 home run potential but that comes with secondary numbers that hurt his value quite a bit. He could be the twins future atfirst base…if he was 2-3 years younger. With Brent Rooker (and maybe Alex Kirilloff) having a chance to be the future at first I’ll take that instead. I hope he is traded to a team where he doesn’t have to worry about losing his roster spot every day and I hope he sees a lot of success because I like him, just not for the Twins. Thank you for reading my post. Go check out my new website design! I would love to do more interactive articles with fans, so go visit my Twitter. (@EverydayTwins). If you enjoyed please leave a like and share with your friends.